Neiman Marcus Website says,.."A fresh, commanding entrance of Lavender from Provence introduces the clean and fervent facets of the Beau de Jour scent. The cool and refreshing open is further amplified with an infusion of energetic hybrid of lavender and lavenders. Patchouli and Amber create an earthy foundation of radiant wood and sensual musky warmth, further elevating Beau de Jour's refreshing notion of masculinity through the finish." This is a complete stunner for me! Elements we love from the past, delivered on a modern contemporary platform. Was instantly enthralled from initial spray until dry down. Beautiful packaging as always. Received this at work today and opened it in my office. I sprayed the back on my hand once. The whole day into the late evening, I get gorgeous green resinous mossy wafts. The lavender is what you'd expect from Lavender Palms, but is not the star of the show here. It is subdued and muted with a tasteful hand. the geranium and basil lend a fresh greenness to the lavender, and there is something ever so slightly remnant of Italian Cypress, but not enough to clearly claim it. The moss, reminds me of Moss Beaches a be and the vibe is not too far off from that feeling we see in YSL Jazz. Even Zino comes to mind a tad here. Nothing, I mean NOTHING, is dated here. A fresh modern homage that somehow feels new. This can be worn year around for any occasion and is signature worthy. 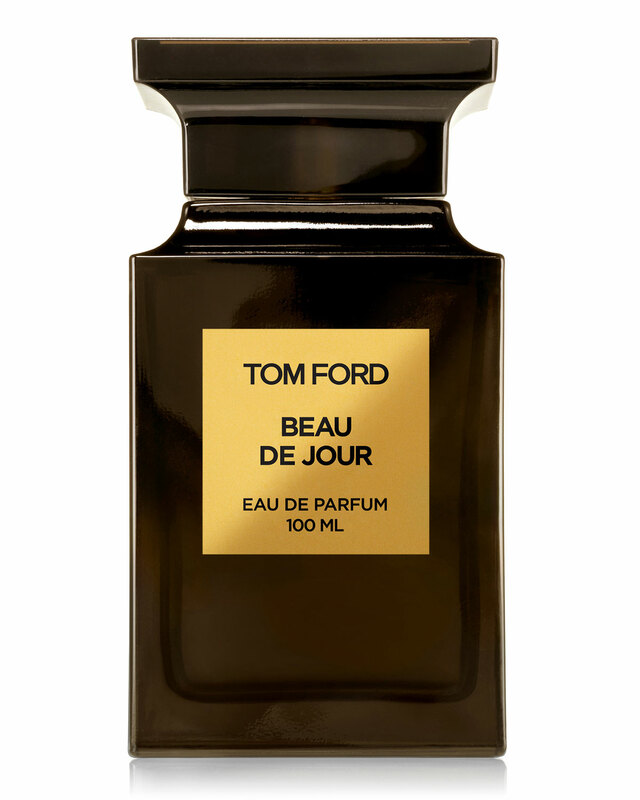 Will be a classic in my book and is easily my favorite from Tom Ford. Really look forward to rocking this frequently! Need to remember to try this when I am back Stateside. Thanks for sharing your impressions. Gatsby lovers (like hednic) would like it. What's with all the masstige recycling of old designer tropes anyway? I like them, but telling me something that used to be $100 max should now be $250 while giving us sweet chemical smells in the $100 bottles is like saying the cheeseburger is the new steak, and Burger King is switching to selling bowls of borscht. Ugh. Wait till you try Fougere D'Argent. A classic Brut type barbershop . I guess why bother when you can copy vintage stuff. Works for Roja. I already tried and reviewed it favorably outside price point. It's Rive Gauche Redux, or at least that's what Tom Ford wants it to be. Tried this today and loved it right away. Modern impersonation of the old greats, can sense a bit of Rive Gauche in the composition which is unsurprising. Lasts a good while too which I can’t say the same for Fougere D'Argent despite also smelling lovely. I have to say this new release is a win for me. The SA gave me a very generous sample, once I finish that and if my enthusiasm holds, will definitely purchase a bottle. I like it a lot, and can understand OP's enthusiasm. However, I'm not sure if I'd be getting a bottle. These TF fragrances always end up being too linear, lacking in complexity, not so special and somewhat boring once you've worn them ten times or so. own and love Beau de Jour. It's nice but not £150+ nice. BdJ is great, maybe even a little better than FdA, imo. Same genre for sure... the high-quality barbershop/fougere style. I don't think Tom Ford fragrances have ever really been about the long, shifting development (even back to his YSL days) and when Tom himself talks about his own fragrance wearing habits he describes refreshing and layering all day long- maybe not the typical BNer's MO but I think it goes a long way in understanding where the house is coming from- at least from the creative director's side. I've always found the TF house to be about mainly top-quality linear fragrances and don't look to them to be something they obviously aren't really aiming for. Whether or not one feels they are worth the premium price for that experience is all up to the individual. this is an excellent post. you summed up TFPB perfectly. Interesting comments. Agree with Oud Dude. I feel the ingredients are high quality and this is definitely a great smelling fragrance. Its not linear in the sense that it was multifaceted components and conjures vivid palettes, but is linear in the sense that you're not gonna be carried through distinctive phases. I love this fragrance and feel its worth the premium price. I'll probably try it if I'm at my local Neimans. I actually fell in love with beau de jour last week myself. Lasted all day. It may actually be my new favorite. The price is the only thing that is holding me back from getting a full bottle. Somehow, I have never smelled Rive Gauche. I have a sample of Rive Gauche coming in the mail. After I smell that I will decide on my next purchase. I love this one. Perfect for the office. I’m extremely excited to try this! Fougere D’argent is brilliant, as is every Fougere/barbershop/classic masculine style fragrance Tom Ford puts out. If there’s one reservation, it’s you guys saying it’s stronger and lasts longer than Fougere D’argent. That stuff damn near chokes me out for the entire day if I use more than one spray, and it lasts a week on clothes. It’s too strong imo. Fougere d'Argent is a spectacularly gorgeous rendition of a classic scent category. I don't like Beau quite as much, but it's still admirable. That’s kind of how all Tom Ford’s fragrances are. It’s pretty much the same scent from start to finish. (Not passing judgment or saying this is a good thing or bad thing, that’s just how he rolls). I loved it when I tested it. I'm a sucker for a well done lavender note and this one soars - there is something crisp, biting almost...minty about it, but not mint. It also lasted a LONG time. I will probably get a decant of this at one time in the future. I need a good lavender in my wardrobe, all of mine are gone except for my staples like Caron Pour un Homme, Jicky, etc. But those have such a different vibe than the TF. Will like to check this one out. I'll try it for sure, it sounds excellent but if it has more than very little "woodyambers" I won't like it and they're difficult to escape these days. I was very disappointed with Fd'A after the good feedback it had for that reason. Noir de Noir and Rives d'Ambres are my favorites. I'm holding out for the new "Woodyallenambers"
I heard they're full of irony. Got a full wear today, bathed in the stuff lol, I agree that it's a good release, the opening and mids are particularly good, I thought it did have a modern classic vibe and the best use of that type of (again) woodyambers encountered lately, I've experience so far. I like it a lot better than Fd'A. However I'm just not a fan of that type of basenotes and about an hour in I was like 'meh. Yes it's very Rive Gauche but not nearly as good and satisfying in my book. I wouldn't buy it at half the price it goes for. When TF launched the PB range he gave us a story that this is the range where he can use whichever high quality ingredients he can get his hands on. Ultimately it went downhill very fast. BdJ is another conceptual fragrance based on an idea that is, well, at least 70 years new. So well done TF. Another unimpressive addition to a failing brand. Who are you kidding! I thought the exact same thing. Good enough opening but one of the most God-awful bases I have ever tried. I literally had to wash off the dry down.